The Great Escape is one of those movies that has attained ‘cult’ status. With a star-studded cast including Steve McQueen, James Garner, Richard Attenborough, James Donald, Charles Bronson, Donald Pleasence, James Coburn and Hannes Messemer, the actors carry the plot. But is the story, as seen on the silver screen, the ‘real’ story? No, says Guy Walters, the author of The Real Great Escape (ISBN 978-0-553-82611-1, Bantam Press 2013). Back to the movie, Attenborough played the role of the mastermind, called Roger Bartlett in the film. A character that was drawn from the real-life Roger Bushell, and author Walters goes into great detail to make the persona alive, even down to his relationship with one of the daughters of Earl Howe, a famous British racing driver who won Le Mans in 1931. I can vouch for the accuracy, having been shown around the Earl’s study with the Le Mans trophy in pride of place (a bronze of Boadicea in her chariot) by the current Earl, his son. These were the landed gentry of the pre-war era. 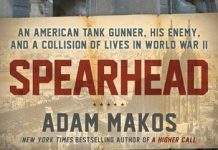 The book details some of Bushell’s previous attempts at escaping, something missing from the celluloid version of history. These show something of the bravery (and sometimes bravado) of this man, who was actually a South African who flew for the Royal Air Force in Britain. Examination of the psychological profiles of the POWs are described, with one group remaining mentally well, mainly by plotting escapes, while others took to their beds and deteriorated noticeably. Walters also delves into the minds of the German captors, and the loyalties of the camp commandants are explored, with some of the Germans serving their country, without necessarily serving the regime. This was most evident with commandants who looked at the prison as being a place where Germans and Allies could learn something from each other. A utopia which could never happen. I found it interesting that not every one of the POW’s was intent on tunneling their way to freedom, but quite to the contrary felt that attempts at escape just made prison life more unbearable, as the German heightened their surveillance of the POW’s, and privileges were withdrawn. A fascinating book with pages of historical data, including the roll-call and naming those who died in the escape. And which group pulled the trigger. With several color plates, this is a bargain at B605 at Bookazine in the Avenue. This book is far more than the movie, looking at the whole spectrum of life in a Stalag from both sides, rather than the celluloid excitement of just the tunnel. 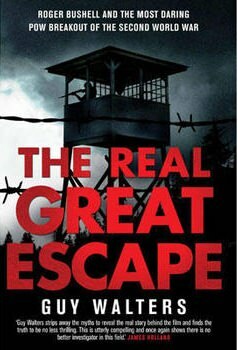 Guy Walters has definitely chronicled the “real” Great Escape.